Majors aggressively acquiring acreage and expanding development of properties in areas, including; DTE Energy, EOG, Swan, Pioneer. 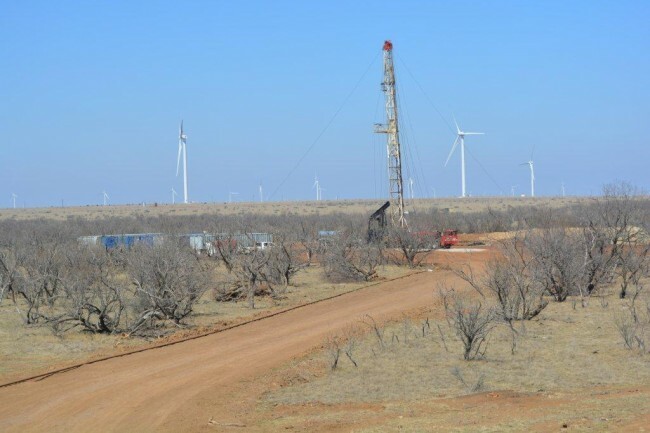 The Company has acquired a 66.67% working interest in 11,695 acres of a oil-rich Pennsylvanian Limestone, located in the Forth Worth Basin, North Texas in the following counties; Young, Jack, Stephens, Montegue and Palo Pinto. 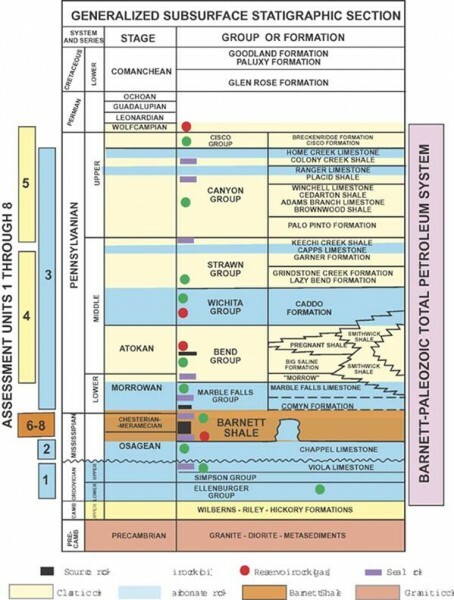 Additional formation targets include the Atoka Conglomerates, the Caddo Limestone and the Mississippi Limestone (Chester Lime and Chappel Lime) These limestone formations are found at an average depth of 4,000ft-5,000ft, and 125ft – 300ft of gross pay thickness. Both the Marble Falls and the Mississippi Lime formations, are shallow and found in numerous counties within the Forth Worth Basin and in the same geographic area as the prolific Barnett Shale play in North Texas. 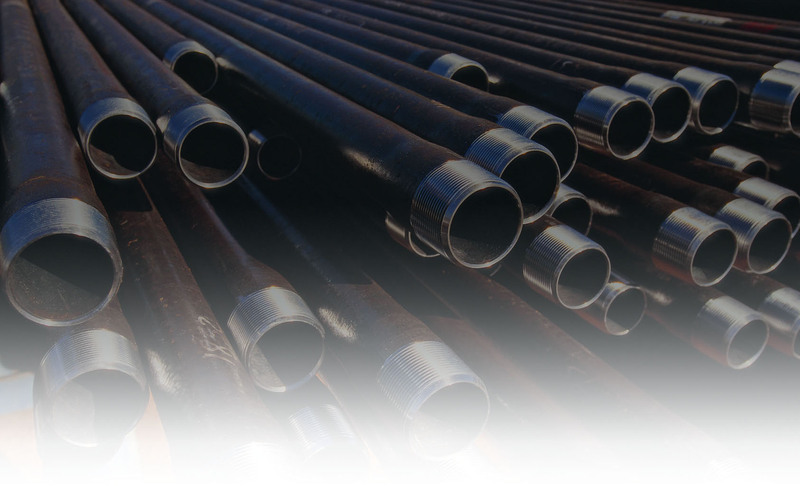 Shorter horizontal sections, as well as some vertical completions, have been typically providing high production results, with low drilling and completion costs. Because of the limestone’s porosity and natural fractures, expenses can total half, and even a fourth of the typical unconventional well efforts. Over 60 horizontal wells and vertical wells have been drilled with positive results; 300+ bbl/day in horizontal wells, and 150+bbls/day of liquids gas in vertical well production. Recent reports of IP in Jack County, Texas is approximately 1,500 bbl oil equiv/day. 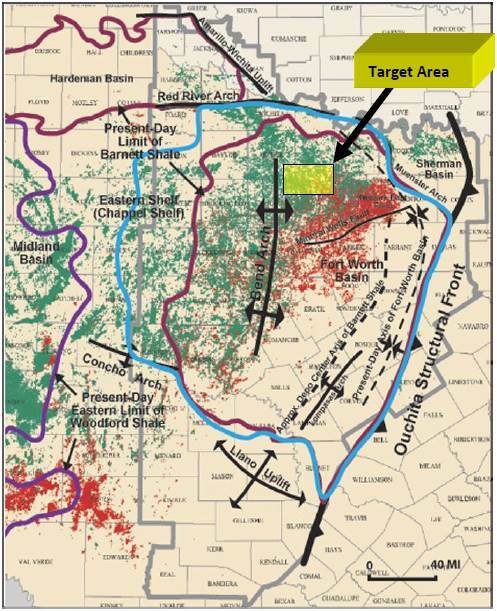 Currently, with over 2 million acres available in Marble Falls/ML resource plays, there has been a rapid movement of Majors focusing on developing and exploring these areas, as a result of wells promising an oil ratio of 50 percent, and low drilling costs/high rates of return. Since 2011, to date, Majors have acquired 1,039,220 net acres of Marble Falls/Mississippi Lime (ML) and continue to increase acreage/drill locations, including the expansion of ML resource plays with successful “tight hole” wells distanced away from early “core” areas. Additionally, the drilling of ML resource play wells have an upside potential in the discovery of other prolific reefs and channel sands. The Marble Falls is an oil-rich Pennsylvanian-age porous limestone formation, that is deposited above the Barnett Shale and forms pinnacle reefs at depths less than 5000 feet, reaching a thickness of 400+ feet. These resource plays create the opportunity for large reservoir targets with massive hydrocarbon deposits within shoal basins, and have produced in excess of 400,000 BO per well. Limestone plays have produced approximately over 75,000+ BO in vertical wells, with great potential in horizontal wells to expose more reservoir rock and exponentially increase production capabilities. To date, over 300 Marble Falls resource play wells have been successfully drilled.